Since becoming a Mama I tend to really go for it on most holidays. I'm linking up today with Tanya to share my Valentine's Day goodies for the kiddos that I've recently ordered from Amazon/planning to order from Amazon within the next few days. I won't be leaving Henry out of all the Valentine fun. I was just about to order this, but then noticed it's not in his size. Darn! If you have a little fella' size 5/6 and under, just know this cute shirt exists! I plan to keep looking on Amazon or I'll drive over to Walmart for a festive shirt for brother bear! Doughnuts are on the menu for either a Valentine's breakfast or for an after school celebration. I thought these straws would pair perfectly with some cute glasses of orange juice, doughnuts and other Valentine decor! I love me some decorative paper straws! Ahem... "Valentine Decor." So cute!!! I haven't ordered these yet, but I think they'd be the cutest going into the kids' bedrooms! Psssst - This L.O.L Under Wrap is on sale! So call me crazy for going all out on Valentine's Day! I just love it all! Kids are the best and I can't wait to celebrate this holiday with my sweet babes next week! 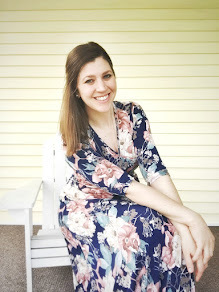 Thanks so much for stopping by my bloggity blog! Yes, definitely dress your kids in all the cute holiday outfits when they'll let you! I'm sure glad I did, because now they definitely have their own style and opinion. We used to just love the Berenstain Bears books! Thank you so much for joining the Prime Purchases link up! I spotted that adorable girls outfit on Amazon, but I wasn't sure Sadie would think it's cool enough. She's super into "cool" now vs "cute". And she's SO into the LOL stage too - I have one of those under wraps ones stored away from another time it was on sale! That and a Beanie Boo - she's obsessed! You just reminded me that I need to get some Valentine books for my girls. I LOVE that kids outfit. So cute. 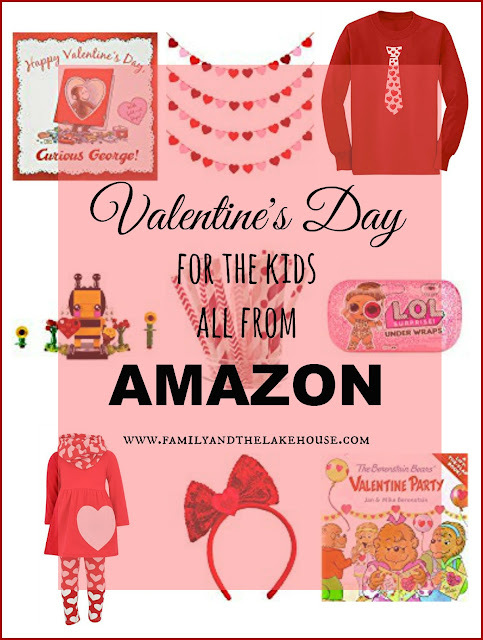 These little Valentine treats are so much fun, I know Avery & Emmy would LOVE getting an LOL Under Wraps doll, they are LOL obsessed! I always love adding to our holiday book collection as well, thanks for sharing so many great finds! Those hearts in the doorway are SOOOO cute!! What a great idea!